GSEF organises SSE (social and solidarity economy) academy programmes to enhance the capacity of practitioners, researchers and city officials and provides a venue for stakeholders to interact with and exchange their experiences and vision. 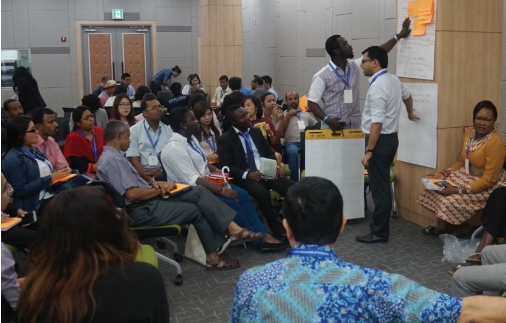 The first edition of the GSEF SSE Academy programme was held in collaboration with the International Labor Organisation (ILO) in 2017 as part of the ILO SSE Academy series (8th edition) under the theme 'Innovative ecosystem for SSE public policies - a contribution to the future or work'. More training programmes are under discussions with various international partners to be implemented throughout 2019~2020.